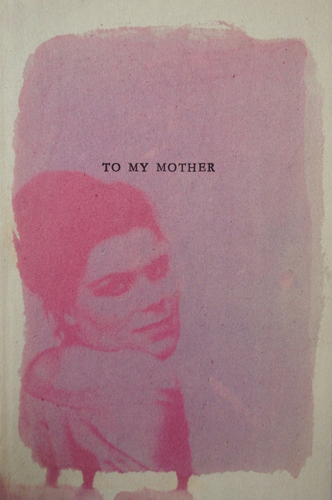 A recently-made Anthotype of my mother as a young woman. The original photograph was taken by my father Brian Edwards. The emulsion was made of berries from an 18th century Mulberry tree at Painswick Rococo Garden. My mother’s name is Violet. The unexposed areas of the Anthotype have remained a bright, almost fluorescent, magenta pink: perfectly fitting for a 60s glamour girl! This entry was posted in Uncategorized on June 1, 2015 by lumilyon.